Mel Adelglass was born and raised in the Bronx, New York, USA. He developed an early fascination with photography by observing his Uncle Persh take snap shots and his father shoot 16 mm film during family vacations. In 1951, at age ten, Mel saved up $3 to purchase his first camera at a local drugstore, a Baby Brownie. Not long after, his father gave Mel $40 (a lot of money at the time) to buy a Kodak Twin Lens Reflex camera. Mel took pictures of his friends, the neighborhood and the animals at the Bronx Zoo. By the time he turned twelve, to the dismay of his mother, Mel was developing his pictures in the bathroom sink! As a teenager Mel read all the camera magazines, camera annuals and Life Magazines. He read Bernice Abbott's book avidly and studied the images of photographers Atget and Walker Evans. Mel continues to look at their pictures with the same intense pleasure and admiration today. Mel divides his time between New York City and Vermont, and spends a great deal of time traveling in New England where he finds his subjects. 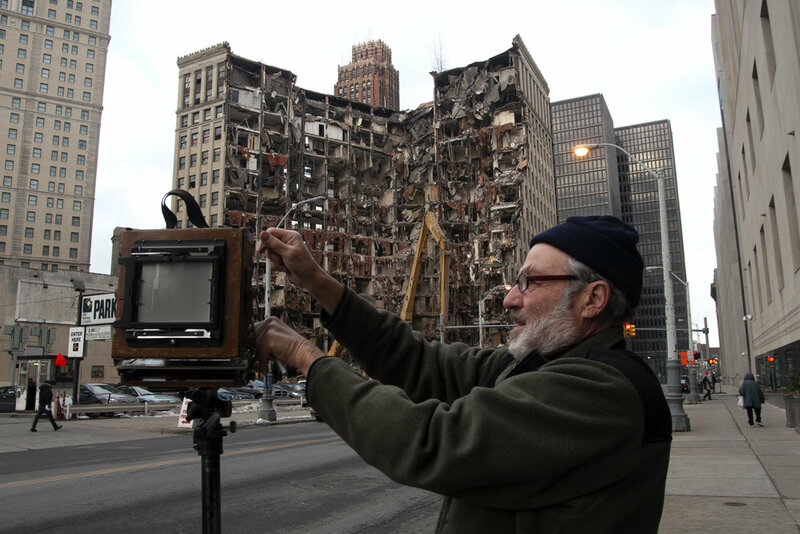 His primary interest is in preserving the disappearing architecture of America. Old houses, buildings and storefronts that show the ravages of age fascinate him and stir memories of his own. His compositions often fall into place naturally, but to capture the right light, Mel may return at a later date to shoot the image. It's often said that old houses evoke the people who lived in them, however Mel's focus is on the buildings themselves. This set of photographs was selected from a series of photographs taken over a period of 40 years. Mel's camera of choice is the Deardorff view camera with 4x5 negative film.